I started working in restaurants when I was 15 and ended up managing my own bar at 21 years old for a little more than three years. I hadn’t realized yet that my creativity was slowly but surely going to be a fundamental element in my life. Nevertheless there was a soft voice whispering kind and colorful words to me. That voice belongs to my grand-mother, my “Mamie”, that I affectionately renamed “Mémé” in this blog. Let me tell you a bit about this fabulous woman. Curious, elegant in every circumstances, she used to bring me on her cultural adventures when I was a child. Once she joined the stars, I continued to develop my eager mind often thinking that she would have like it (“Mémé Aurait Aimé” means my grandma would have liked it), what she would have worn and what we would have discovered together. 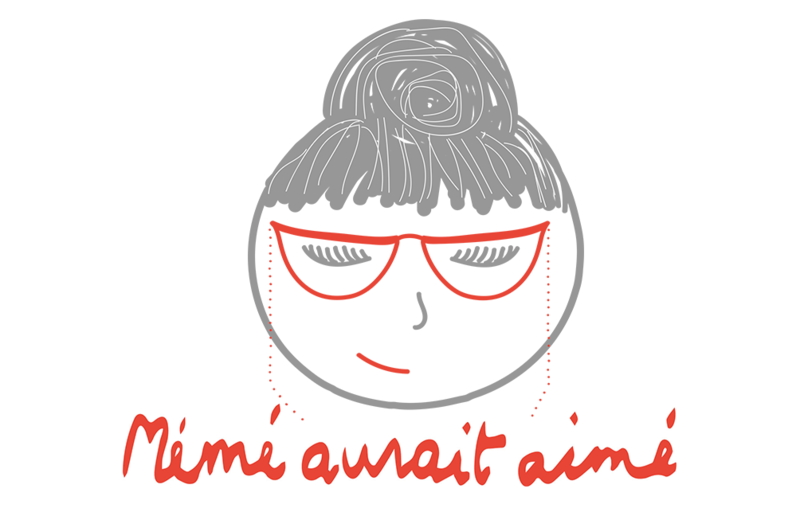 In 2015 I registered the brand “Mémé Aurait Aimé” as a small tribute to our strong connection without knowing that this brand would be, later on, the name of my blog and the beginning of my artistic adventures. After a few years living a night life lifestyle, I realized that it did not suit me or who I was anymore even if I really liked my job. I felt like achieving something more personal, more feminine and the wish to move forward made me rethink my needs and create a blog based on my inspirations. My brand had finally found a purpose! 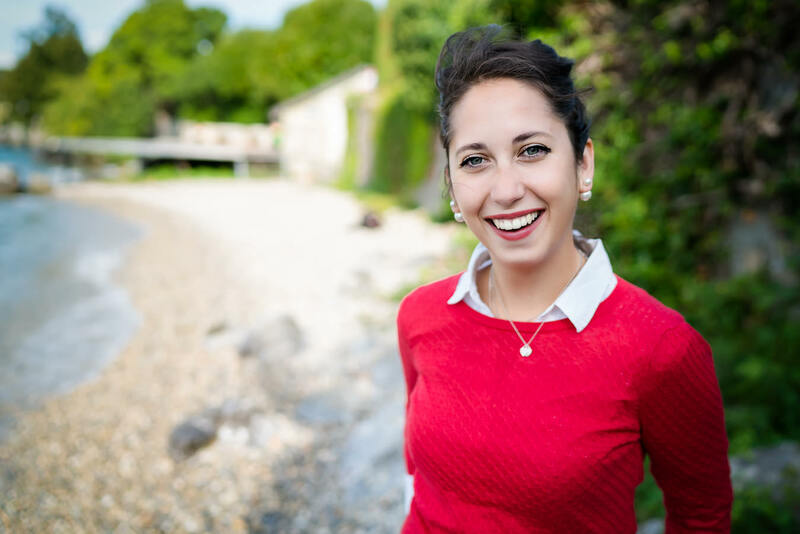 “Mémé Aurait Aimé” is a mix of all my discoveries and interviews on people and places in French speaking area of Switzerland (“Suisse Romande”) that I felt like sharing. It’s meant to be a warm and friendly platform where people can share. The main purpose being more cultural than lifestyle. In parallel to my blog, I am a Social Media Manager for an association of “Vaudois” restaurants and I am currently studying Design and Innovation at the Open University. I decided to take up university while working à 100% more out of curiosity but later realized that my artistic inclination was catching up with me. Since then, I have developed a unique illustration style where words come to life in finesse and color. I am lucky to be able to create all my illustrations in my new workshop in Etoy. By the way, I would gladly share my workshop with another creator during the time of a collaboration. At the beginning of the summer 2018 the sister of my grandmother, Geneviève, gave me an old shoe box full of cooking recipes. The recipes were hers and my grandmother’s personal collection. I can only imagine the hours spent in the kitchen cooking up a storm, feeding hungry bellies and having a table full of laughter. Geneviève probably didn’t realizes how much her gift meant to me. That gift is the biggest and most important treasure I own and it brought a big warm wave of love into my heart. I was so moved by the gesture I felt the urge to bring back to life the recipes. I wanted to keep the core foundations of the flavors of long ago while adding a pinch of my personal touch. To do so, I sparkled a bit of modernity and decided to make the recipes gluten and lactose free. It was also important for me to cook according to my beliefs such as authentic, homemade, local and seasonal food. 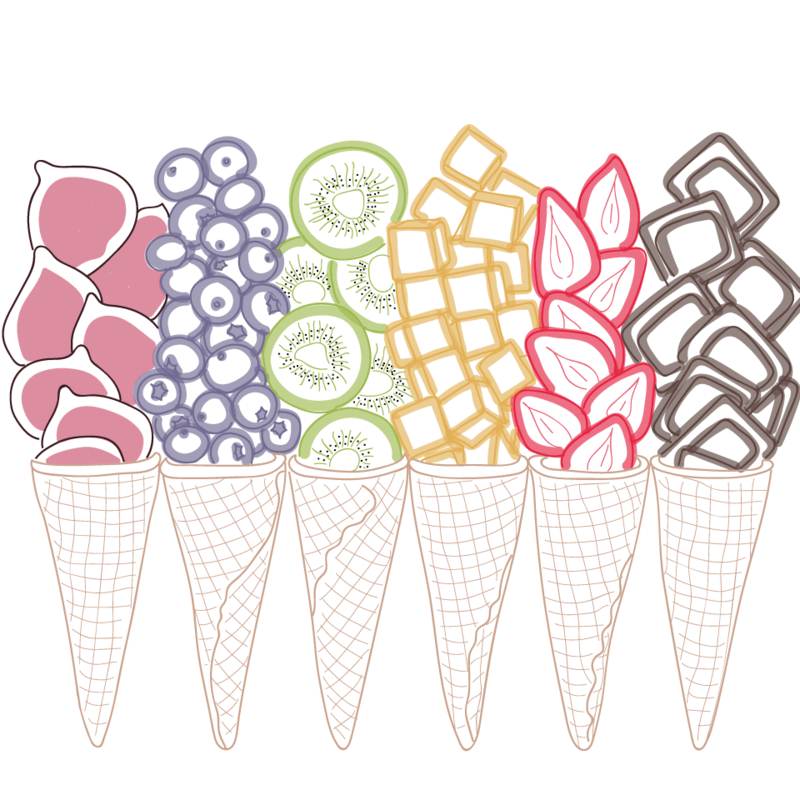 I also added another twist to these recipes, I love drawing fruits, veggies and food in general, so I decided to illustrate them! I share videos of the recipes cooking on my Youtube channel and you can download a PDF of the recipe with its instructions and illustrations. Regularly, I will randomly pick a recipe from the shoe box and publish an article on the blog with a new recipe to watch and download. My goal is to make you travel through time with me in my kitchen. Hopefully you will have as much fun I do while you are cooking these recipes. Maybe you will even invite you friends and why not your grandparents all around the same table to share a good meal. Would you like me to illustrate your cooking books or magazines? Want me to test some products? If you are in the restaurant industry, would you like to see my illustrations in your establishment?